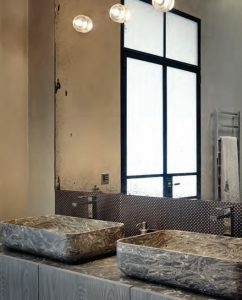 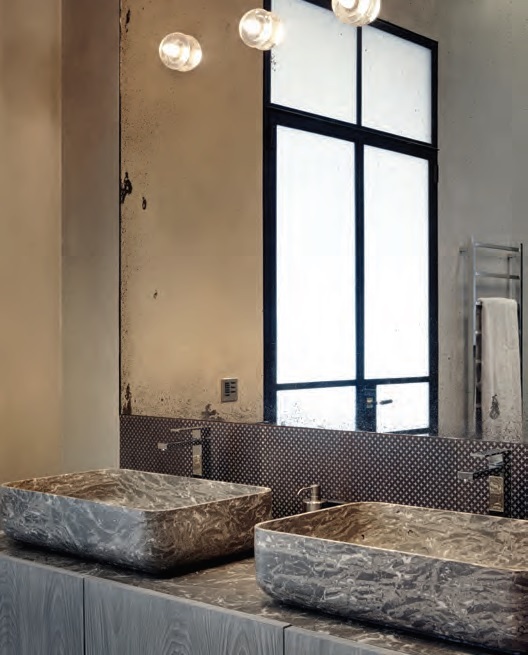 Industrial chic comes to a bathroom with vintage mirrors, concrete walls and Crittall-style doors – Dyer Grimes Architecture. 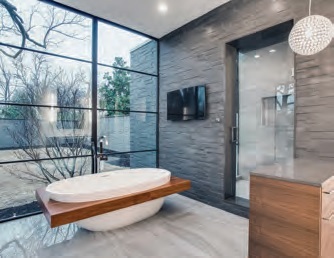 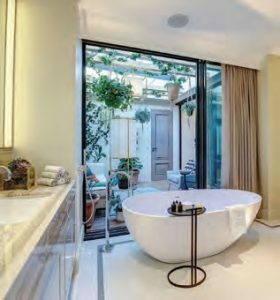 The combination of marble, wood and slate tiling in this bathroom creates a dream space to escape the city –Norstone. 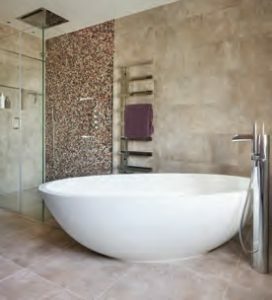 Free-standing baths exude luxury and self-indulgence – Ensoul. 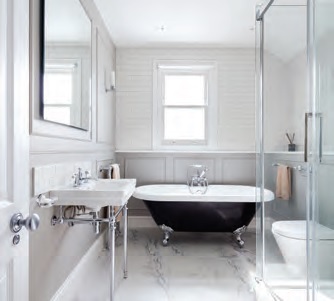 Traditional fixtures and fittings suit Victorian homes between the commons well – Granit. Our love of free-standing baths has evolved into decadent ovals and you don’t need a huge room to indulge – from lofts to en-suite to bedroom corners, these bathing beauties are everywhere. Marble is the popular choice in bathrooms, with mosaic squares and textured rectangles a favoured alternative to tiling. Small spaces are getting the full-on treatment too, and downstairs loos are the ideal spot to let your inner exhibitionist out. 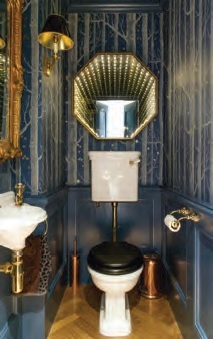 Make your downstairs loo into a magical throne room – Good London Builders. 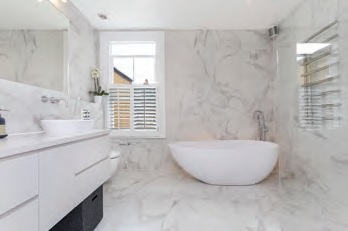 Floor-to ceiling marble looks smart, fresh and elegant – dRAW Architecture. 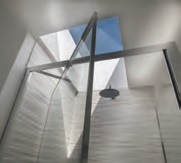 Lightwell above the shower floods it with light – Red Box.